Alison King and I first became acquainted when she was looking for some vintage St. Charles kitchen cabinets. 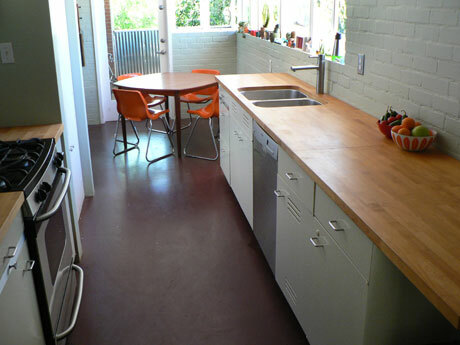 Being a humble, patient and deserving retro renovator, Alison had her request answered almost immediately by the retro design gods, who awarded her with a set via our Forum. 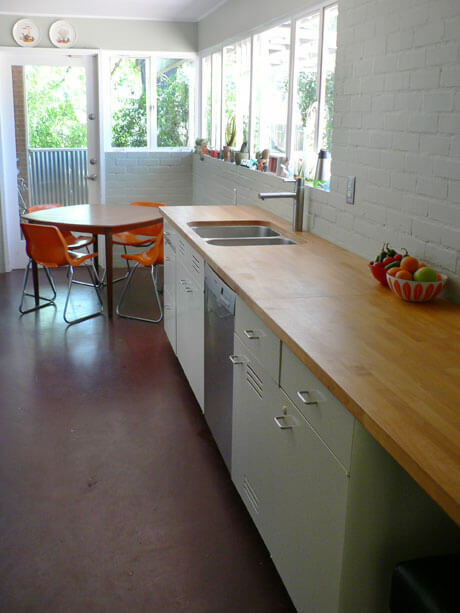 Not only is Alison an avid home renovator, she also is the force behind modernphoenix.net. This site is one of the best around to document a city-region’s midcentury domestic architecture. And, it also is at the epicenter of the region’s growing mid mod community. Fascinated, I asked Alison, who calls herself PixelPixie and a “design dork”, to tell us all about herself and what’s going on down in Phoenix. And of course – she sends us lots of pixures of the house that she and husband Matthew are working on. Alison, you look quite young in that photo on the About page. How did one so young get so into midcentury modern…your house…the website…the community? 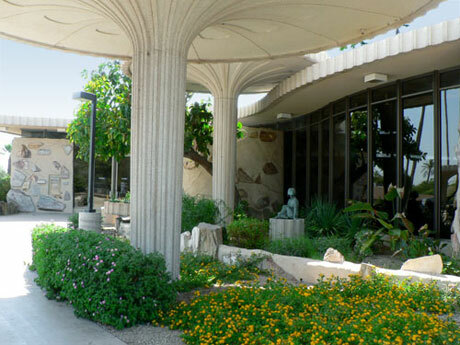 I was born and raised in Scottsdale, Arizona, which is a mecca of midcentury modern architecture; it was my native architecture so I was taking it for granted for 17 years. I just didn’t realize how rich my city was until I went to art school in NYC and really learned what Modernism with a capital M was. The Museum of Modern Art was a required field trip at least once a semester and I think I saw every major exhibition there for five years straight! When I came back to Phoenix, I had the formal vocabulary to wrap my mind around it, instead of just my heart. I have always been a disciple of Andy Warhol and still consider him a role model, mostly for how he thinks, not his products. Mass production of good art and design fascinates me, which explains my fondness for Modern-styled tract housing as a noble pursuit. When we moved back to Phoenix we thought it was only temporary but we literally fell back in love with the city again and started shopping for a real home, not the placeholder we’d landed on out of convenience. However all the while we were wondering: where are our people?!?! 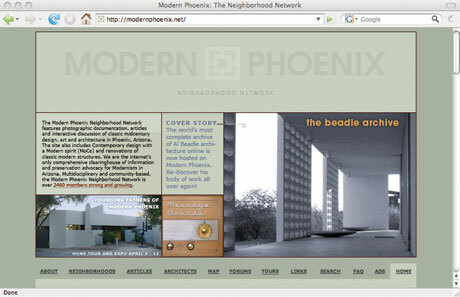 We stumbled into being website curators quite backwards, as ModernPhoenix.net was truly intended just as a private inventory for myself and my husband as we searched for our ultimate Midcentury Modern home. Being a web girl, it was really natural at the time for me to catalogue the photos hypertextually. Then people started stumbling upon the site and writing me, and the exchange just snowballed from there! Tell us more about your house. How did you end up there? Our Haver Home came to us in what can only be described as an act of karma. 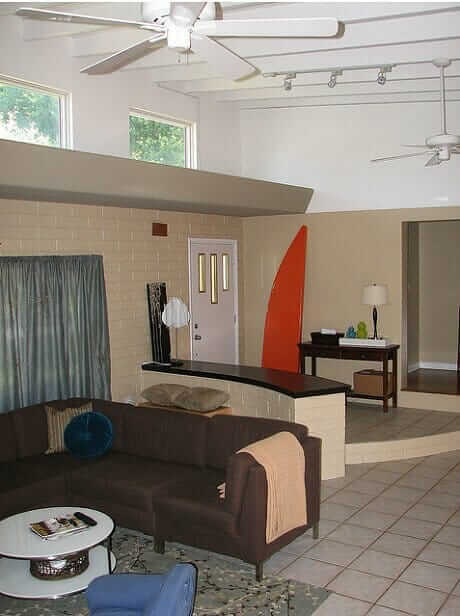 We had been running the Modern Phoenix website for a few years — essentially window shopping that whole time — and decided to finally place our stucco crackerbox on the market to push us toward finding a suitable MCM home in our price bracket, which was quite a challenge. Ironically, it found us. The week we placed our old home on the market, one of our message board members wrote me a note saying that they had to let go of their 1946 Ralph Haver designed home in Uptown Phoenix. Would we like to come see it? There was much more restoration needed, but we said Hold Everything, we’ll be right over. 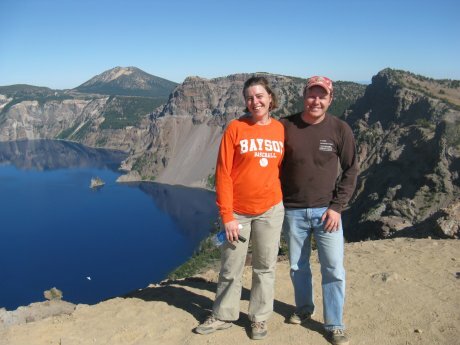 It was clear within minutes that this was the perfect place for us— all 882 square feet of it! We had been tinkering with the idea of acquiring a home in a historic district, but at the time most Ralph Haver Homes did not qualify. 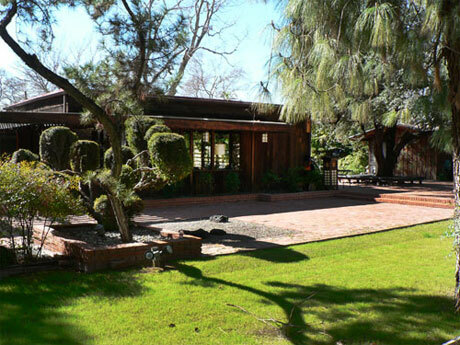 Being of extraordinary provenance and over 50 years old, this home had it all. The owners happily put the hammer down and pretty much sold the place as-is. They had taken care of all the difficult, dirty work like insulation, wiring, security, and lighting. All we needed to do was dress it in our own style. It has taken three years to get it over the hump to where we can truly call it our own. At first glance the home may seem rather plain and un-modern with its red brick and white wood accents. But once you understand Haver’s body of work, it comes into focus that it all started here. There are hints of that all over the place, from the slope and construction of the roof, to the wall of glass and the angled porch posts that appear to be the first of their kind in this region. It’s a Proto-Haver, and truly one of a kind. What projects have you completed since moving in? 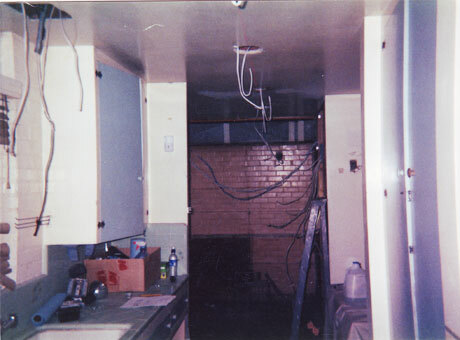 We reached a real milestone in 2008 as we finally took on the kitchen renovation, ripping out some relatively new Home Depot cabinetry that came with the home. We were going to do an Ikea job, but halfway through our trip to go place our order, it struck me that I shouldn’t have abandoned my dream to have a vintage steel cabinet reclamation instead. I’d made several internet searches on reclaimed St. Charles steel cabinets with no success. That night, when we got home, I somehow hit the right keyword combination and found the message boards at retrorenovation.com. Within five minutes of browsing I found a fellow within two miles of my house in a large old ranch seeking to recycle his St. Charles steel cabinets. 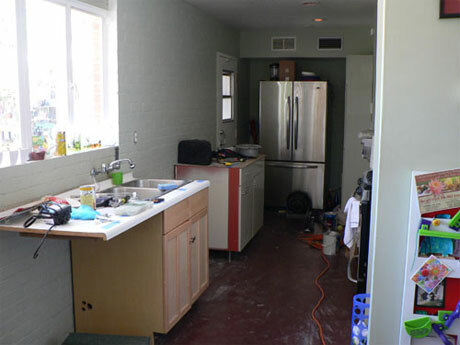 His contractor uninstalled them with great care, and we packed them up, slowly planning out the design we needed into our unusual galley kitchen. After months of planning, it took about four months to install from the first cabinet to the last. We ended up using Ikea legs to give them the historically-accurate floating effect. You can’t even see them. 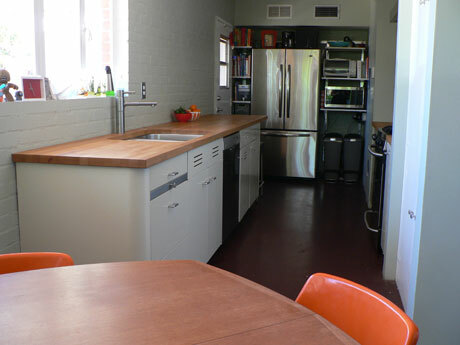 We also used Ikea butcherblock countertops to lend warmth to the all-steel look. 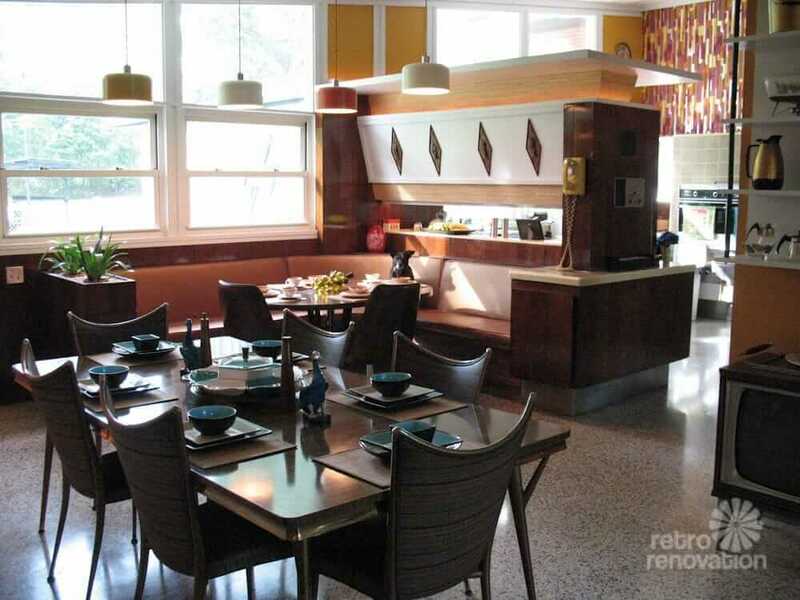 We are thrilled with it, and love that we can now cook side-by-side in the former Kitchen Impossible. Alison and Matthew’s renovation chronicle. With their minor nicks and dings the steel cabinets look like they have been there since 1946! The kicker: reclaiming the St. Charles cost way less than the brand new Ikea would have. We had enough cabinets left over to install them in the laundry / shop as well, we STILL have cabinets left over, and the steel is 100% recyclable when their life cycle is over. Our old cabinets were hauled away or picked apart by savvy gleaners during Bulk Trash week. 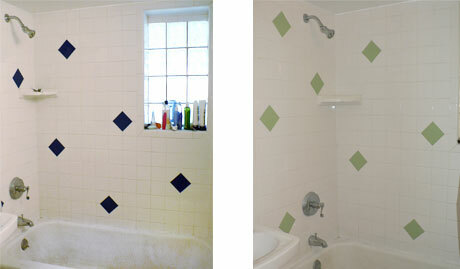 We are also halfway through a bathroom renovation. This is a one-bathroom house right now, so no pressure, right?!?! Linda Knight contacted me out of the blue about some new-in-wrapper vintage aluminum tile veneer called Bestile that she had sitting in stacks in her garage. They fit exactly over any Daltile with silicon caulk. I took the whole contemporary look of our bath back 50 years in 90 minutes by covering navy blue tiles with celadon green aluminum. One year later, I highly recommend it for any stopgap renovation. We’ll see how they hold up for the long term! Contact Linda directly for these awesome vintage finds. 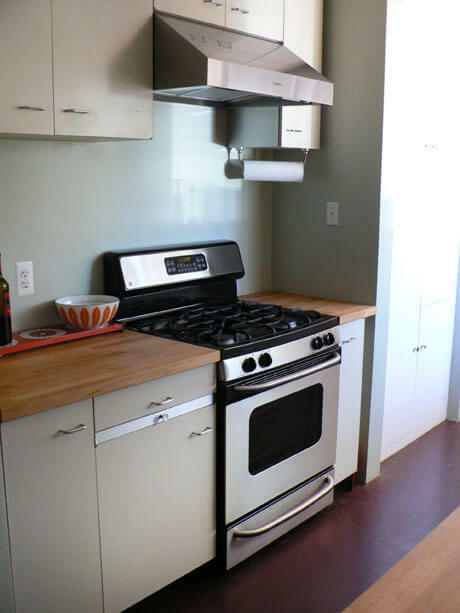 What’s next for your place? Creating a master plan for our whole property is a huge priority. Limited funds and lots of land means that we’ll make progress in phrases, which is fine as long as the whole package is dialed in at the end. For example, we don’t want to plant new trees where a future buildout will happen! We’ve long had a wishlist of enhancements to the property and have a strong DIY sensibility so it is a big step for us to ask for help. We know so many talented architects and designers and we’re certainly not ready to start on the buildout. We needed to see the big picture. 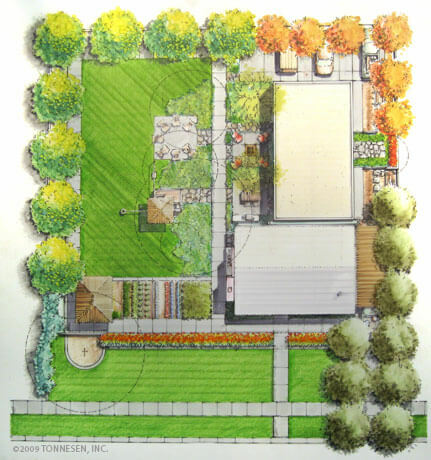 We’re working with local landscape architect Bill Tonnesen. We’ve admired his landscapes in the city for a long time, but were hesitant. He has a reputation as an auteur, and being designers we worried there might be too many cooks in the kitchen. Turns out I like his big personality and command of knowledge. Matthew helped him survey the final site measurements — something he could have easily sent someone else out to do. We captured some great film that day. So far the process has been a blast — and being a contractor we know Tonnesen’s going to have a handle on cost. We just reviewed the preliminary drawings this week and the process is going to give us lots to blog about on our new website SquareYardage.com. Every city seems to have its own set of resident MCM architects – in yours, it seems to be Ralph Haver and…? Can you tell us about him and the houses that he designed? 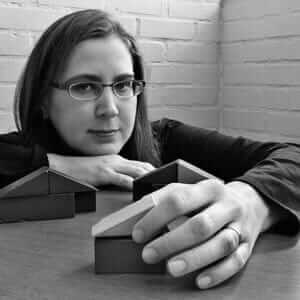 Are there other “collectible” architects in Phoenix? I have studied the primary sources from the 50s and 60s, including documents from Haver’s firm, and I can say with confidence that architect Ralph Haver designed the largest quantity of homes for everyday people in the Phoenix area. The volume of his work is astonishing, and helped to define the vernacular modern look that we associate with Scottsdale and Phoenix. 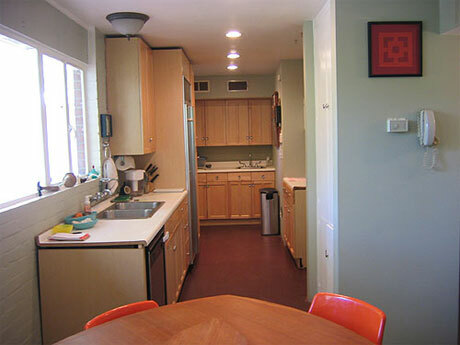 Home design was his passion, as was solving the puzzle of postwar housing for a growing population. In addition to quantity in the form of tract housing, the quality of construction and aesthetics in his custom homes was excellent. When the inspector came out to review our home on purchase, it resulted in only 1/2 page of concerns, as opposed to pages and pages in the new builds across this city. The tract homes, however, are hit or miss. However, due to their accessible price point from $150,000 to $600,000+ there’s a Haver for every enthusiast. Unfortunately custom Haver Homes and tracts are endangered as investors bulldoze for land value and rebuild. Until Modern Phoenix came along, there wasn’t any centralized forum for people to rally around these concerns. Other collectible home designers include Blaine Drake, whose homes are being destroyed at an alarming rate, and Al Beadle, whose work is now really coming into a grand revival period. Both names carry great prestige because of the distinct style and limited supply. The Schreiber Brothers for Allied Construction have quite a following, and we are recently re-discovering the very limited supply of Fred Guirey designed homes (one shown above). 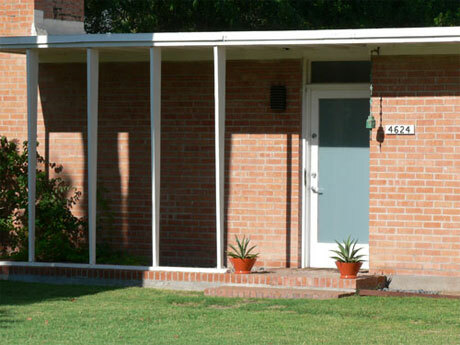 Charles Montooth and Calvin C. Straub also designed a few homes in Phoenix. 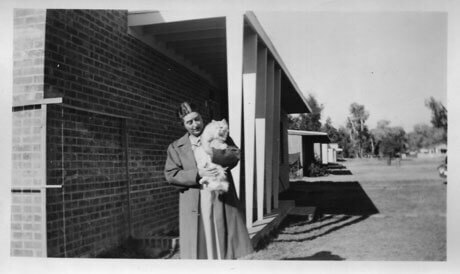 Then there is, of course, Frank Lloyd Wright. You seem at be at the epicenter of the Modern Phoenix community. I would think that, like LA and Las Vegas, Phoenix would be a great place for MCM. Is that true, and is there a good solid appreciation there for the era, or is it still growing? Phoenix, Scottsdale, Tempe and Paradise Valley are all genuine players on the MCM appreciation scene. Our body of commercial, religious, civic, educational and residential architecture rivals that of any large modern city in the world. The Historic Preservation Office of Phoenix is currently publishing a book with that as the central thesis, providing side-by-side comparisons of world architecture to ours. We all knew this in our hearts, it is impressive to see it all spelled out so clearly by talented preservation architect Don Ryden. Your website is fantastic. It is so chock-full of stories and links and useful information. I’ll tell you – I look at a lot of sites like this and yours is so well curated. Can you tell us about all the energy that goes into it, and what keeps you going? Well, thank you! Content is king around here. I don’t publish fluff and am not into product reviews like some of the blogs already excel at. We will be starting a blog this year, though, called Square Yardage, which will delve into modern landscape design topics. It will be a sub-brand of ModernPhoenix.net and support our hands-on D.I.Y. approach. 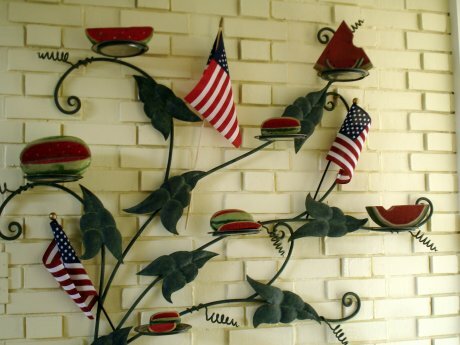 Our content will be regional landscape tips that you can really use in a desert modern environment. What was once a fun hobby has developed into a part-time job—which is a challenge because I’m already teaching design fulltime! My classes are all about multimedia design and marketing, so it is all very synergistic. The Art Institute of Phoenix has been very supportive of developing this movement. I do put a lot of energy into it, but it all comes from the heart so it’s not exactly work; it’s still my avocation. I am also greatly indebted to all the MoPhos (volunteers) who step up when needed. They do it for love, too. What really keeps me going is the opportunity to tour amazing homes and meet remarkable people that Get It. When I see happy faces on our annual tour day, it fills me with such satisfaction that the appreciation is growing. Our people are doers, not lookers. I know that the ripple effect will catalyze change for the better. We have seen change magnify the last few years and many attribute it to the activism they’ve encountered on ModernPhoenix.net. Sounds like a LOT of work! How do you suggest someone go about getting started on a modern community in their own city? Don’t wait around for someone else to do it; use the tools that you are comfortable with and get started! Whether it be Flickr, Twitter, Facebook, Blogger, Message Board, or fullblown HTML website. Not a writer? Start with just images and captions. Give things names. Revive old names for places and people that haven’t been used for years so they show up in keyword searches. Find out the original names for buildings that are under new ownership. Purchase old postcards on eBay. Plea for help. Start it, promote it, and your people will come. With people will come talent and connectivity. Surely someone out there will know more about web publishing and promotion than you do, and they can become your first volunteer. One of my organization’s greatest assets is its history as a genuine grassroots movement. Funding can’t buy that authenticity. Your community’s power lies in your people. Build it, find them, then grow at a sustainable rate. Alison — THANK YOU for taking so much time to share all this great information… and for all the work you do leading Modern Phoenix! Great Interview, Pam. Thanks for the in-depth look at a person who’s making a difference in raising consciousness and saving our mid-century housing stock in their city. The house is wonderful and it’s great to see Allison’s and Mathew’s thoughtful progress in restoring their home. They are clearly motivated by more than just history: I think the single, framed sputnik tile is emblematic of their approach, and it’s a wonderful piece of art as well! I loved looking at the post with alisons home. what a place… wow. Absoluetly lovely home Alison! What a “doll house”! Thanks guys! It’s been a fun project but not without its own share of blood, sweat and tears! I would love to contact you to see if you would be interested in allowing a photography shoot in your beautiful home? Hello. 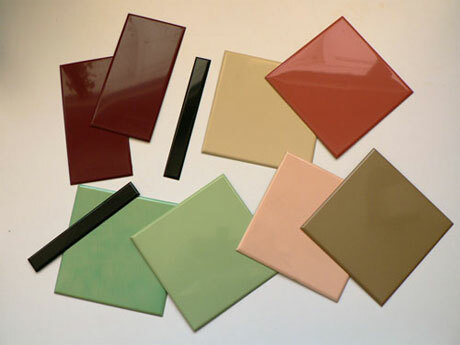 I have about 4 cases of new white ceramic tiles. They are definitely old school and I’d like to sell them and get them out of my garage (they came with the house when I purchased it). Does anyone have any ideas of stores or contractors who may be interested? Shelly, you can post these on the Forum: https://retrorenovation.com/forum . Also: craigslist. Good luck.